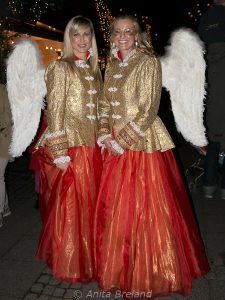 Cologne’s Christmas markets began with the Markt der Engel, or Market of Angels, with new venues being added over the years. The first market is still a favorite for many people, and I loved it. Newer additions have their own attractions, though, and I found something to enjoy at each one. 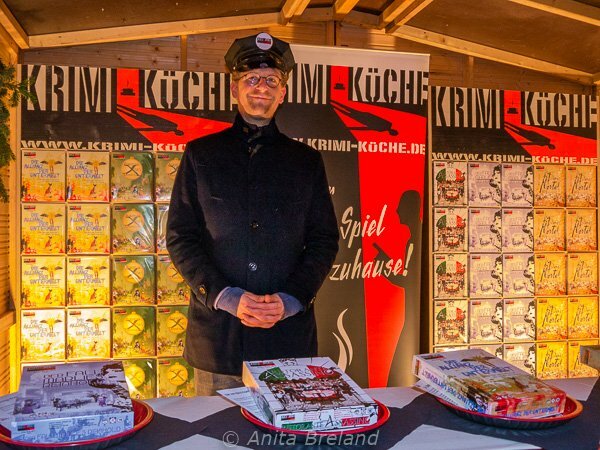 Cologne Christmas–Part I introduced the markets nearest the Cologne Cathedral. 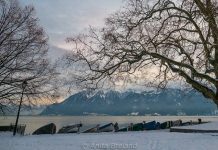 For an entirely different neighborhood vibe, do yourself a treat, and visit Neumarkt, the two markets at nearby Rudolfplatz, and the Stadtgarten Market in the Belgian Quarter. This is what you will find. Centrally situated between popular shopping streets and numerous sights and museums of Cologne, the Market of Angels was my favorite of the city’s long-standing Christmas markets. Perhaps because I was there for the opening festivities, this one seemed to catch the best of the season at just the right time. There were dignitaries, gospel singers, the superb voice of German diva Wanda Kay–even a stilt-walker. The stilt-walker’s great height and illuminated headdress frightened a few children, but she won them over, somehow bending down to their level and distributing glittering tokens. 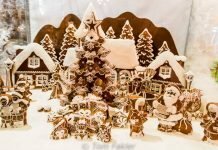 For the 19th year, Cologne has installed the “Krippenweg”, with more than 110 nativity scenes scattered around the city center. 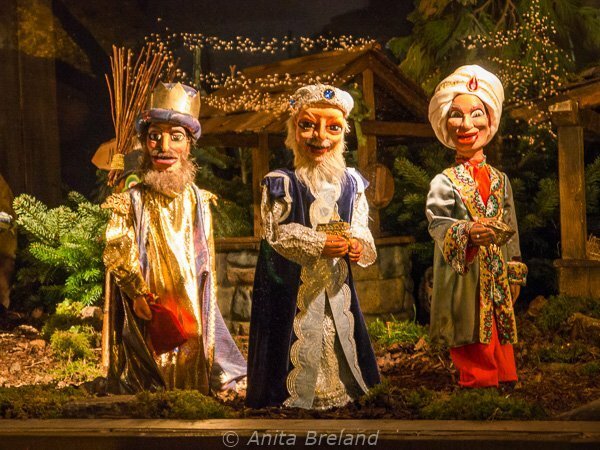 These Magi are from the Hänneschen Krippe in the Market of Angels. My favorite main-course food of all the markets was a hot salmon sandwich on a freshly-baked roll: smoky fire-grilled fish topped with salad and a drizzle of crème fraîche. These folks were setting up shop to create decadent deep-fried pastries of all sorts. I’m not a big fan of fried bananas, but the beignets looked mighty tempting! 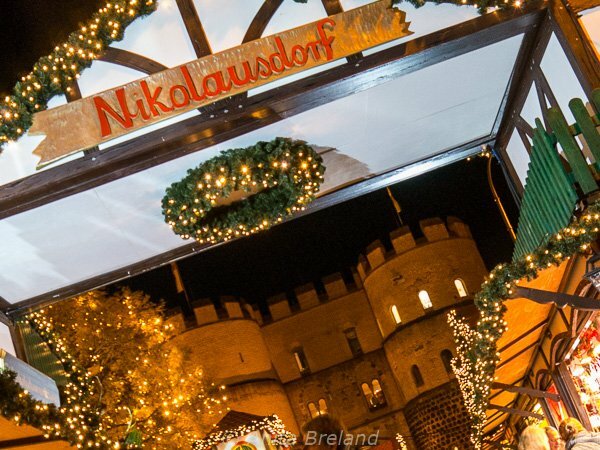 New in 2014, St. Nicholas’ village is located in front of the historic Hahnentorburg gate at Rudolfplatz. St. Nicholas’ Village is a meeting point for strolling and feasting in homely coziness. The aroma of grilling sausages draws plenty of business to this stand. St. Nicholas’ Village is a delight for children, with a children’s workshop and stage programs and a colorful carousel. The entrance to St. Nicholas’ village entices with a brightly lit stand for enjoying a cup of mulled wine. 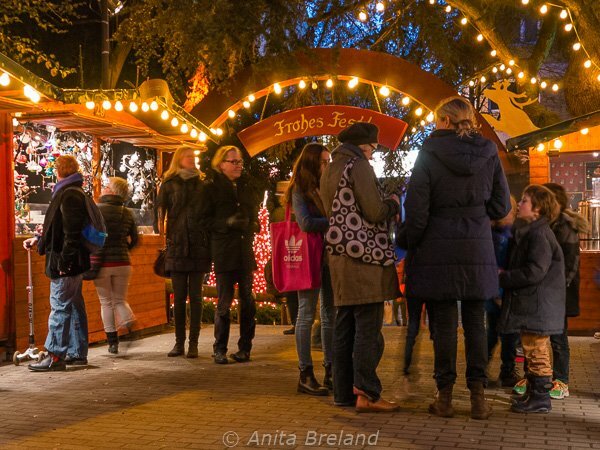 A little off the beaten path from the other Cologne Christmas venues, the Stadtgarten market in Cologne’s Belgian Quarter offers a unique village-in-the-woods setting. It’s cozy, with narrow lanes circling the Stadtgarten concert hall. This market is family-friendly and intimate, with storytelling and other events for children on the market’s culture program. The handmade gift items here are artisanal products of top quality, from jewelry and felt slippers, to the little jars of truffle-flecked hollandaise sauce I just couldn’t resist. 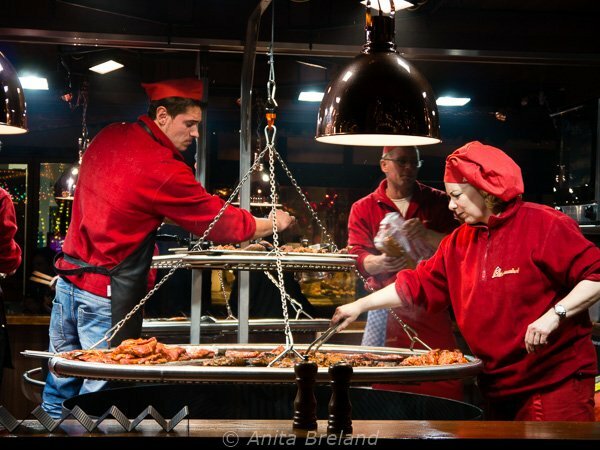 Food venders in chalet-styled huts set in a grove of trees serve up all manner of good eats–bowls of stewed mushrooms, soups and other hearty fare. 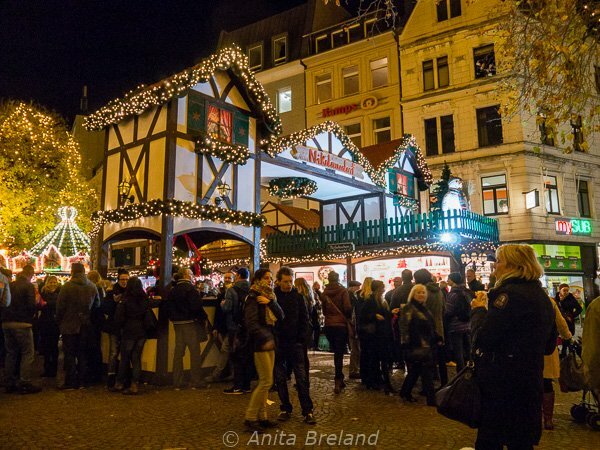 The crowds are small, attendees relaxed, at the cozy Christmas market at the Stadtgarten. 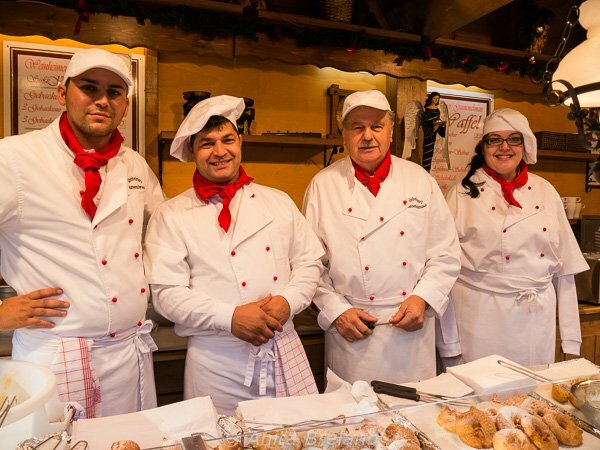 Cologne’s Stadtgarten Christmas market is ideal for small venders, as stalls can be rented for the entire run of the market, or just a single week. This chap was there for the opening, selling a mystery dinner game to play at home. 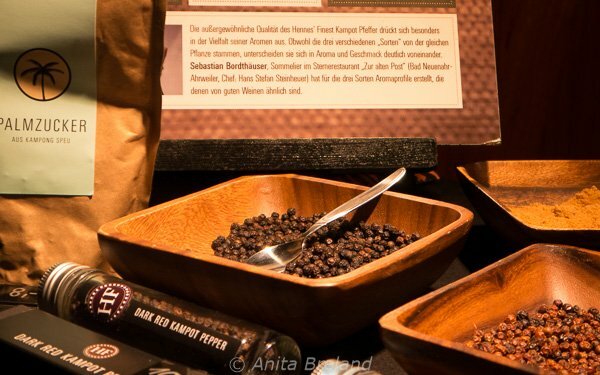 There were several unique flavors for sampling at the Stadtgarten Christmas market: Kampot peppers, oils and sauces made with truffles, to name just two. 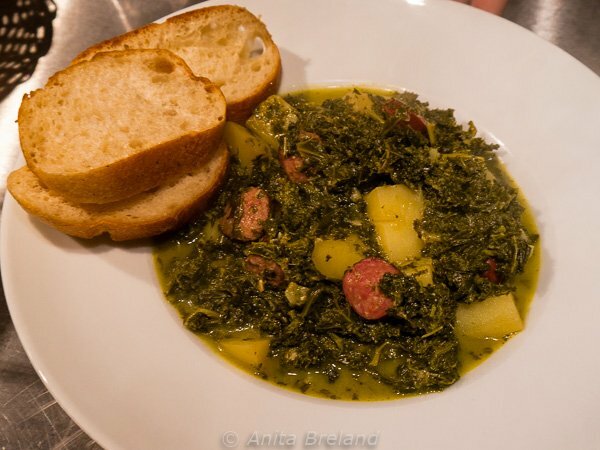 A warming bowl of kale soup with potatoes and sausage–the perfect fortifier at Cologne’s Christmas market at the Stadtgarten. 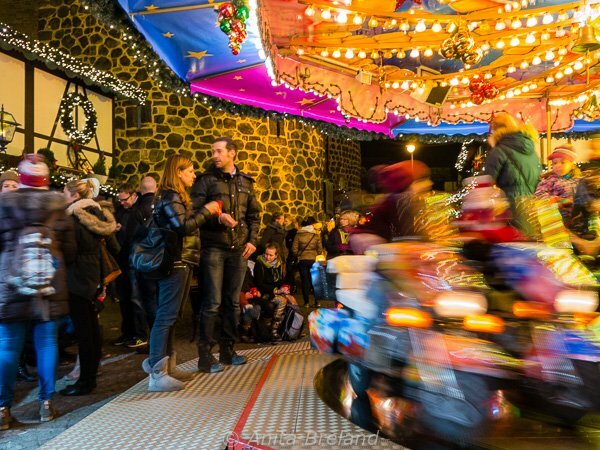 Cologne’s gay and lesbian Christmas Avenue is in its third year, and is the go-to venue for an evening program of Schlagermusik and sounds from typical Cologne bands. This market gets going a bit later than the others, and features a range of performers, such as Wanda Kay, who opened the Angel market. 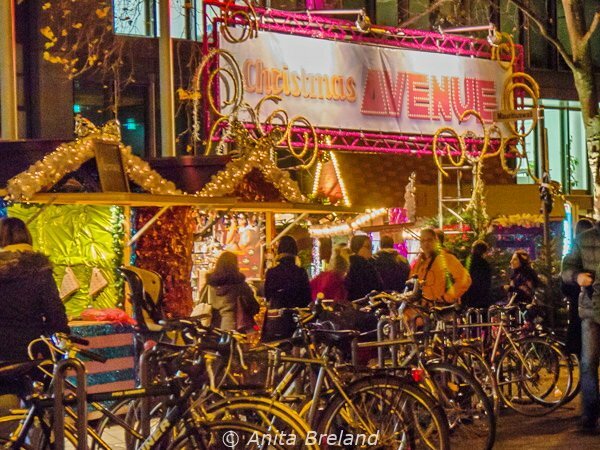 Christmas Avenue also plays an advocacy role, seeking to raise awareness and support for current LGBT issues and HIV/AIDS charities. 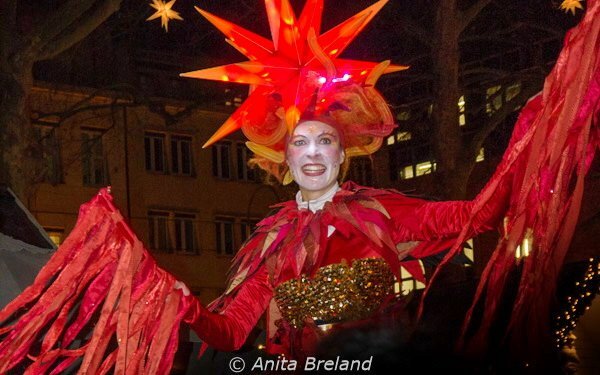 Cologne’s gay and lesbian Christmas Avenue is in its third year. Observing slightly later hours than the other markets, it is a lively venue filled with shoppers and music lovers. 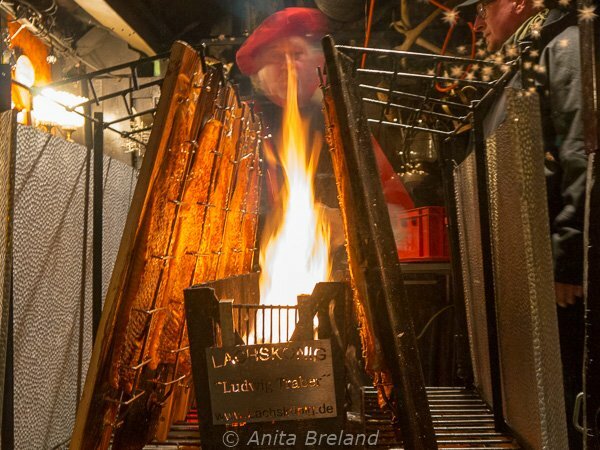 The KölnCard makes it a snap to explore Cologne’s Christmas markets using public transport (and make repeat visits to some). Many thanks to KölnTourismus and city guide Ute Fendel for helping me experience Cologne’s Christmas market scene, and to Deutsche Bahn for bringing me to the Rhineland! Great accommodation in Cologne was provided by Hostel Köln. Raise a glass to food and wine travel!